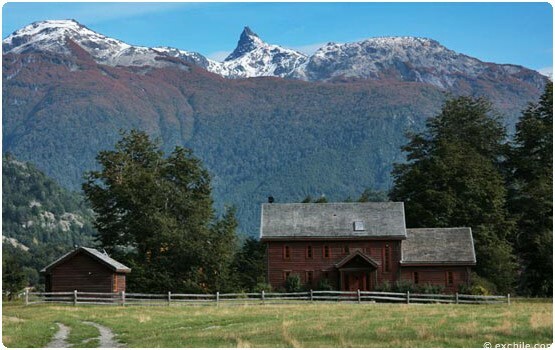 The Estancia is located in the Futaleufu's Valle de los Reyes, or Valley of the Kings, at the confluence of the Rio Espolon and the Rio Futaleufu. 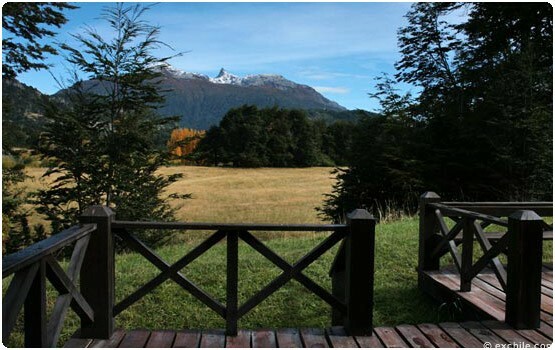 This 300 acre farm is a series of terraced pastures and groves of native coihue and cypress trees ringed by snowcapped mountains. It is eight miles from the Argentine border. 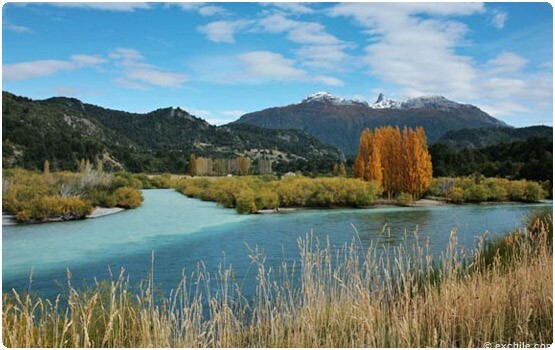 The Futaleufu is known for its stunning turquoise color, challenging rapids and World Class fly-fishing. 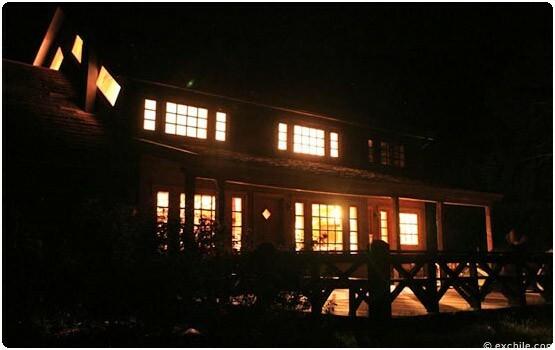 The rivers only private fly fishing lagoon is a 10 minute walk form the house. 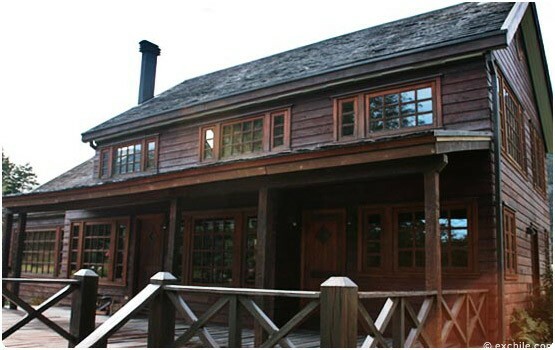 If you're looking for the best fly fishing location on the Futaleufu River you've come to the right place. 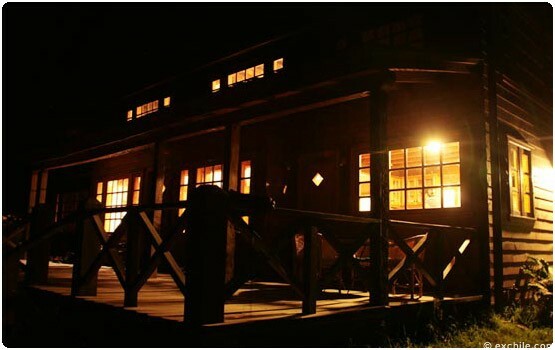 This Private Estancia Lodge is the most refined option Expediciones Chile offers and it is the only exclusive lodge of it's kind on the Futaleufu River. 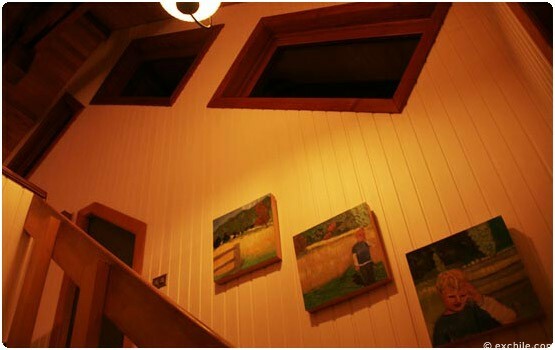 The house is a model of green living, with solar taking care of most energy needs. Water is pumped in from a natural spring. 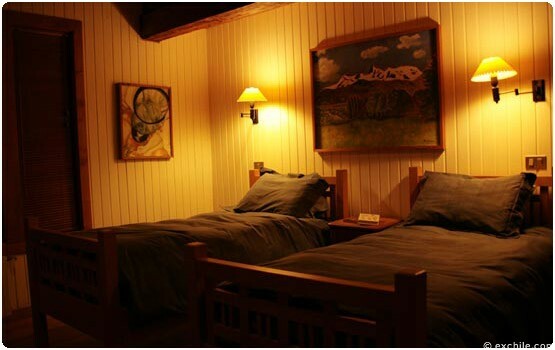 There are three bed-rooms, each with twin beds, that sleep a total of six guests comfortably. 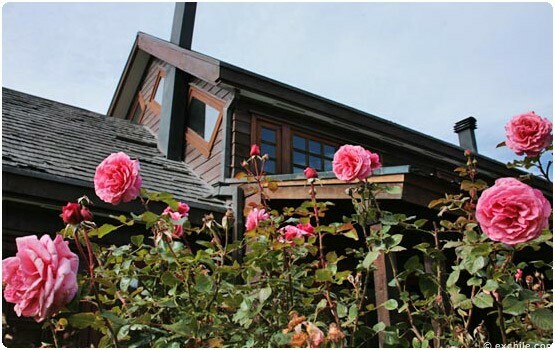 The master bedroom, on the first floor, has its own bathroom (with both a tub and a walk-in shower), while the upstairs bathroom (with two sinks and a walk-in shower) is shared by the two upstairs bedrooms with twin beds. 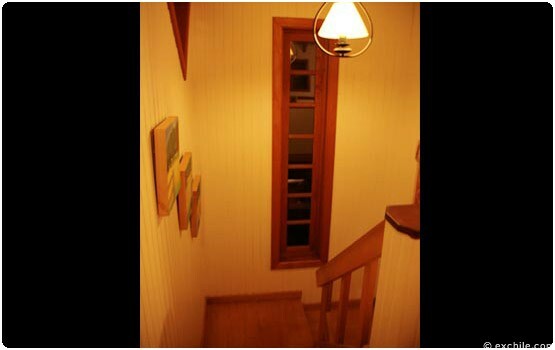 There is also a half-bath on the first floor. The house is equipped with a washer and dryer.. 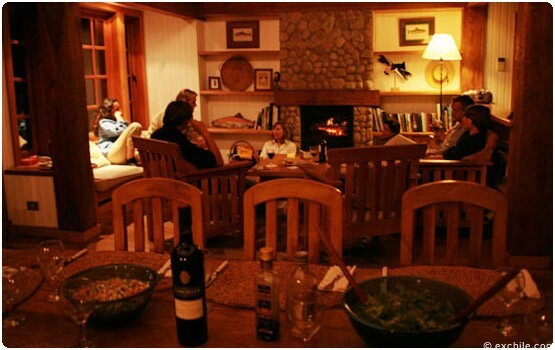 Meals are prepared by your own private chef that lives in the staff quarters a half kilometer away. Main meals are served in the dining room. Cocktails and hors d'oeuvres are served in the sitting area after your day's activities. Should you have any special dietary needs we are happy to design a special menu for you. We have our own private label wine served with dinner. We can make arrangements to purchase the alcohol you desire for the week. 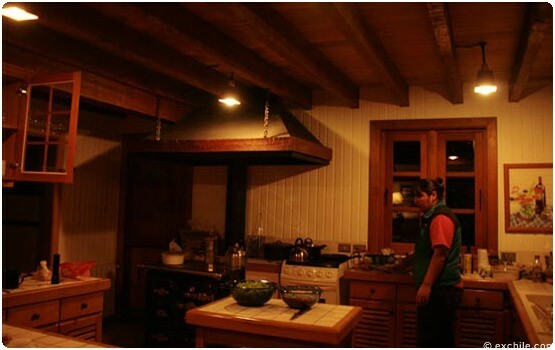 The farm's caretakers, Harry Morales (horseback guide) and his wife, Marcella (chef and housekeeper), live in a farmhouse about 500 meters from the main house. Cell phone coverage connects you to our office in the village for instant communication. 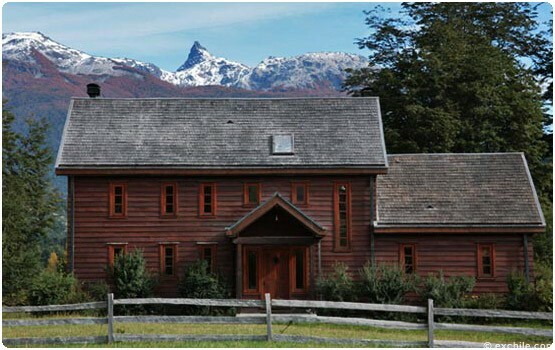 The Estanciais strategically located for horseback riding and fly fishing with your own private fly fishing river lagoon and the upper floating section of the Futaleufu from the border to the ranch. There are horseback trails right outside your front door on the estancia property. There are 6 horses on site and will be available for riding at your disposal. Mountain bikes may be reserved for the week. 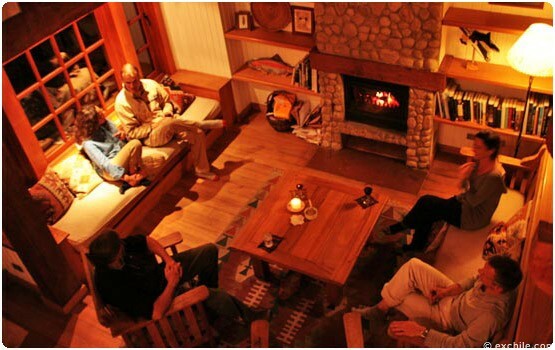 Walk on trails, pick cherries off the farms orchards or hike up to the National Huemul Reserve. A short bike or horse ride gives you dizzying views of the Futaleufu's treacherous Inferno Canyon. 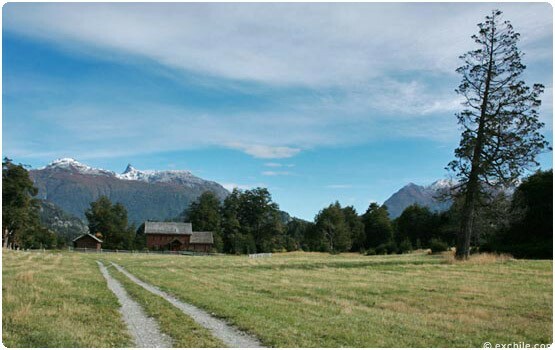 Hike or ride into the village of Futaleufu. We offer complete planning or the flexibility to create your own multi-sport itinerary that can include rafting, kayaking, or any of our additional multisport activities with our regulary scheduled trips or private activities can be arranged for those that need or desire complete privacy. 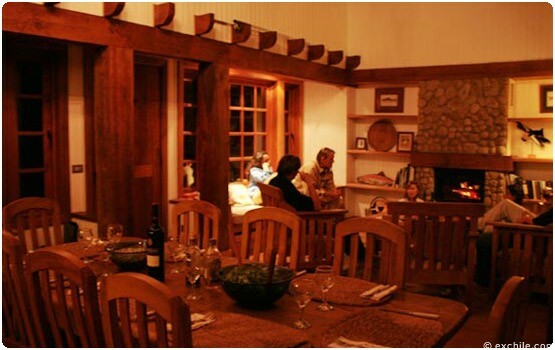 We can accommodate your family's or group's individual needs. 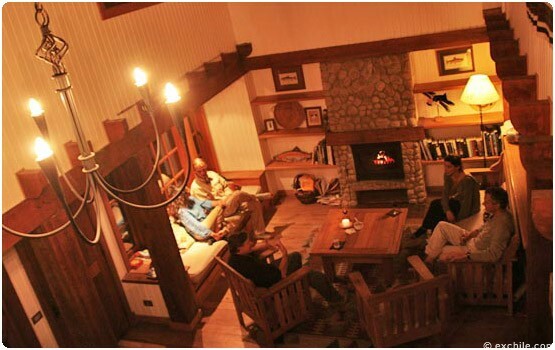 We are dedicated to creating a unique, enjoyable atmosphere so you can relax, reconnect and seek adventure. Bring your family, business associates, or group of 3 couples. 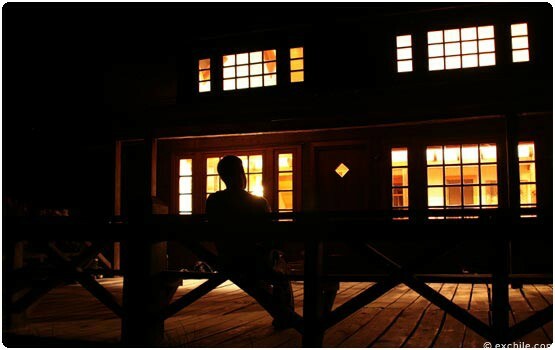 Celebrities or those looking for complete privacy with exclusive service will find the Estancia Lodge the perfect Patagonian escape. 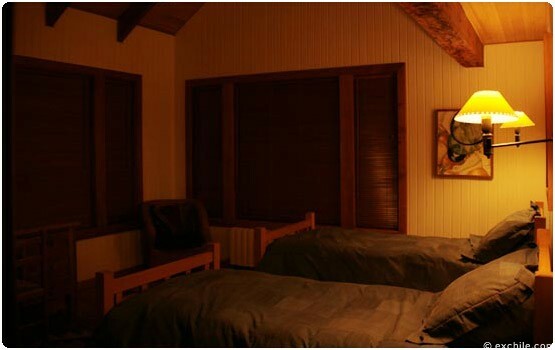 Your peace and quiet is secured with complete privacy during your stay. No strangers, just your group. Enjoy your own private chef and luxury service to take advantage of the relaxation and rejuvenation you deserve. 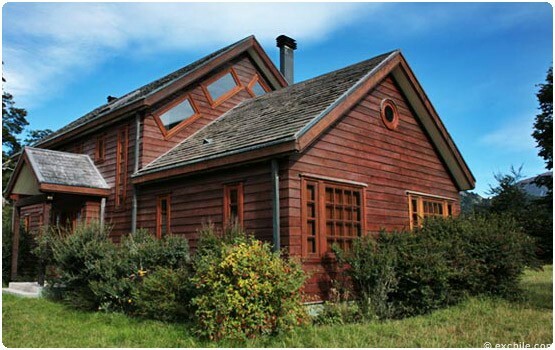 Getting here: The Estancia is only 2 hours 30 minutes away from the jet port in Esquel, Argentina. We suggest flying into Esquel where we can arrange a taxi to the border where we will pick you up.